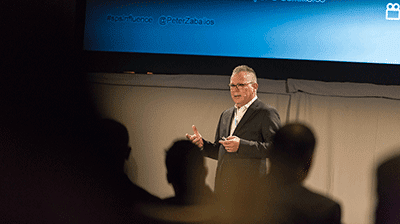 Peter Zaballos is the Chief Marketing Officer and Senior Vice President of SPS Commerce. 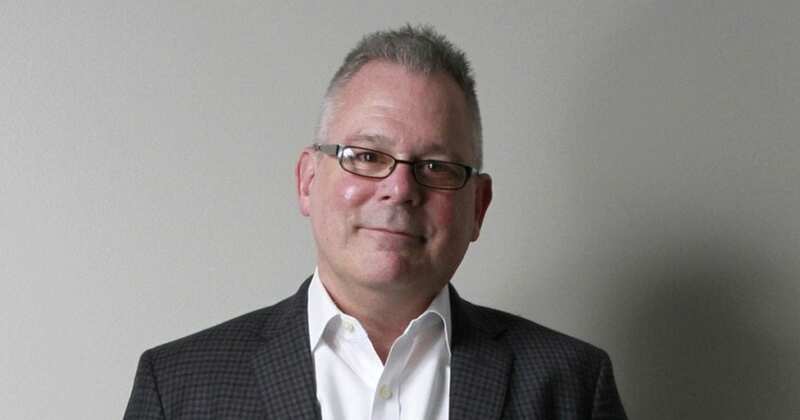 Over nearly two decades, Pete has defined his career in marketing, product development and business development through building or funding breakthrough technology companies. He thrives in the fast-paced, controlled-chaos of these environments and takes delight in disrupting the status quo. In early April, we sat down to talk about innovation in retail and the supply chain, the purported “death” of omnichannel and the upcoming SPS Commerce In:fluence event. 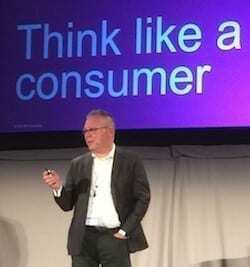 All year, we’ve been talking about how retailers and the supply chain are moving “Beyond Omnichannel.” Though many companies are stepping away from using the word “omnichannel” in their vocabulary, they’re still subscribing to its values – meet customers where they are, sell them what they need, deliver it where they want. Has the definition of omnichannel really changed or are we just looking at it differently? I think the definition has changed to be “this is retailing now.” It’s just the new normal. I think what retailers and suppliers have internalized is that we all shop, all the time, on all sorts of different channels. There’s a big digital component to that, but that doesn’t mean it’s all e-commerce. A lot of the way we find products, explore products, and decide how we want to buy a product is – in a lot of cases – on your phone or online somehow. So retailing today is about how do you engage across all of your channels with customers. In that respect, we’ve moved beyond omnichannel because now it is all just retailing – there isn’t a buzzword for it anymore. It’s just the reality of the new era of retailing. In this new era of retailing, the landscape is shifting and many retailers are closing their stores, leaving unhappy customers in their wake. How should retailers re-evaluate the value of the brick-and-mortar store in the age of retail as we’ve just discussed it? I think the store has never been more important in retailing and it is a retailer’s biggest asset. It’s the role the store plays that is changing, and the change is pretty profound for the reasons that we were just talking about. A lot of discovery of products and a lot of purchase intent is happening on your phone. When you get to a store, you’re generally showing up with a pretty clear idea of what you want or you might have already bought it and you’re showing up to the store to pick it up. Or you may go to the store to decide that you want to buy it and have it shipped to your home so you don’t have to transport it yourself. Stores are evolving into less of a showroom and less of a place where you put your items in the cart and purchase it through the checkout line, and it’s turning more into a place where you might browse and order it online while you’re there to have it delivered to your house. Or you’ve already purchased online and you are there to pick it up. What people do before they get into your store and what they do after is different than it was 10 years ago, but it’s no less important now than what they do when they’re actually in your store. When it comes to these stores that are being closed, in a lot of respects you could say they have been more a victim of poor merchandising and poor merchandising execution than anything else. Despite all this change happening in the market, the one thing that hasn’t changed in all of retailing is the value of merchandising. The fundamentals of merchandising are still the same, you need to know your market and have the items that your customers want. Whether they’re trying to purchase it in the store or online, if you don’t have it in stock, they’re going to go somewhere else. One of the biggest validations stores are more important than ever is that Amazon is starting to open stores. At a time where everyone was talking about omnichannel, Amazon was just an e-commerce provider. Now even Amazon, arguably the merchandising king with 480 million products offered, is realizing that omnichannel and stores matter and they’re opening up their own stores. So the age of the store is far from dead, in a lot of ways it’s never been more alive. But you need to merchandise, think about a stores’ role differently than we have in the past, and deliver a good experience inside the store to reap the rewards. The relationship between consumers and retailers depends more and more on relationships between trading partners within the supply chain. What advice would you give to help retailers and suppliers better collaborate and innovate across the supply chain to ensure consumer’s delight? Well this is something that we’re going to be talking a lot about at SPS In:fluence because retail is a bigger team sport right now than it has ever been previously. And there’s a bunch of reasons for that. One of the reasons is that retailers are relying on their vendors to take on some of the fulfillment that the retailer used to do. Increasingly a retailer may ask a vendor to ship directly to a customer. Or ship directly to the store so that the customer can pick it up. In a way, the retailer is treating a vendor almost like it is an employee of the retailer. The need to collaborate is important because that vendor is now part of your team. Just from that perspective, the vendor now has an obligation to the retailer that it might not have had before, and the way to keep the relationship with the retailer is to make sure that there is a very clear value delivery. Collaboration just to fulfill customer expectations is the name of the game. Another reason for the need to collaborate has to do with trying to understand trends in demand. Collaboration with data is one of the best ways to see the opportunities in the market. Who are the customers for these products? Do we have a product in the right places? That’s where the retailer is sharing their sell-through data with the vendor, and where the vendor is sharing their insights about who is buying this product. The retailer generally is very fluent about the category but not necessarily fluent in the specifics of a product. The vendor is fluent in the specifics of the product, but only understands their products, not the whole category of related products. There is a natural symbiosis between a retailer and vendor when they are looking at trends and demand because they can each show up and together have a lot more insights than if either of them tried to plan for demand on their own. Customers expect a lot from companies today, and one bad experience no longer impacts just one customer – the fallout can spiral out of control across multiple social media and review websites. What is the role of marketing in an omnichannel retail world to personalize experiences and manage customer expectations? We have the best tools today for personalization than we’ve ever had before. Now you can follow a social engagement all the way through to purchase intent, the individual purchase, and even a return. We have a highly detailed view of the customer journey and how successful it is. To harness that potential requires an awful lot of collaboration across departments of a retailer. The team that is responsible for marketing isn’t the team responsible for merchandising or for fulfillment. So when we were talking a minute ago about collaboration between trading partners, it is just the same within the departments of a retailer’s or a vendor’s organization. The need for employees to work across organizational boundaries and have access to the same data is absolutely integral to retail success. Even so, marketing is generally the first point of contact. It can be engagement around a photo on Pinterest, it can be engagement around a tweet that gets somebody interested in exploring the product or the retailer’s brand. And then that cuts both ways, if they have a great experience then they’re probably going to share it. But data says that they won’t share the good experiences as often as they share the bad ones. This is where the retailer and the marketing team generally learn that authenticity and transparency is the best way to take a bad customer experience and make the best of it. With social, customers can so quickly share their experiences and other people can discover these issues easier and more broadly than ever. Because of that, retailers are pretty vigilant about monitoring what is going on in the social space to see who is saying what, and find out if there’s a bad experience. I think they’ve almost trained the market to say that if you have a bad experience, tweet it. And then generally you will get a response back and then you give the retailer the chance to make it up to you in how they respond. I think everybody has an experience where they have had something like that result in great customer service, and other times when the marketing department hasn’t been trained to respond to these issues, something like that can result in an even worse customer service. I guess the theme for today is that what’s old is new again – going back to the fundamentals of merchandising matter, the fundamentals of customer service still matter, too. “The customer is always right” is more true than ever before. Whether it’s online or in person, the basic characteristics of customer service are the same as they’ve always been in that you still have to do the right thing for the customer. Just “making it right for the customer” and personalizing the experience can be some of the best marketing that money can’t buy. For example, there’s a reason why Nordstrom’s has this phenomenal reputation for customer service and they earned it in the stores, but they also live it in the social arena. No normal person is going to return tires online, but Nordstrom’s customer service reputation was made when somebody returned tires to a Nordstrom store and Nordstrom’s actually took the return. Even though they don’t sell tires. It’s an outlier example, but really that’s the kind of deep commitment to good customer service that can do the marketing for you by differentiating one retailer from all of the rest of the competition. You could be selling the same product that 50 other retailers are selling, but as long as you’re providing that extra level of personalized customer service that makes consumers happy, it can really make you stand out in the market. There has been a lot of talk recently about adding yet another possible way to reach consumers: augmented reality. How do you think augmented reality will impact retail strategy and consumer behavior in the future? I don’t think we know. I think it’s an interesting direction, but just as an example 3-D television did not become a thing even though everybody got really excited about it. There were so many components of the value proposition that belonged to so many different owners. I think it became too much to sustain and I wonder if the same thing is going to happen with augmented reality. 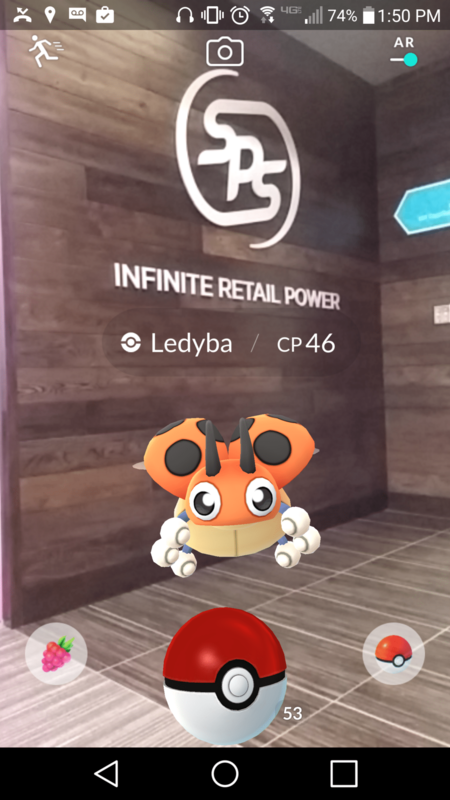 The only augmented reality app that seems to really have taken off is Pokémon Go. It suddenly seemed like everyone was playing, but then it had a steep drop off within months. It will be interesting to see if it bounces back after winter because that’s when it really went dormant. Will that be the fate of other augmented reality initiatives in the future? Maybe. I think it’s an interesting direction, but most of these big structural changes in lifestyle take 10 or more years to play out and I think we are still early in the game. It will take a while for it to get to the market and even longer for us to see its impact on the market. A good example of why I think this way is to look at Netflix and how long it took Netflix to become a real power in the market – it took 15 years. Most of these big technology changes are like that. I think there was a quote not too long ago from the venture capital industry that said basically founders of high tech startups are selling a future that they are convinced is 3 to 5 years away. When you look at the things that really happened the way people predicted, though, that projected outcome is really 15 years away. But if they weren’t selling us the 3 to 5 year expectation, we would never have bought into it and as a result, we would never have seen the fruits 15 years later. So I think augmented reality is super interesting but I think we are a decade away from knowing if it really works. As you touched on earlier, SPS Commerce has this In:fluence conference event coming up. What would your 30 second elevator speech be to convince retailers, vendors and manufacturers that they should attend the In:fluence event? They’re going to find out exactly what the easy and the hard parts of today’s retailing are all about. I think they’re going to be shocked to find how much of it is just executing on the fundamentals, like merchandising and customer service, and how much of it is making pretty profound change in how you do retailing, how you run your business, how you work with your partners. They’ll find out from other leaders in the field who are doing it in the market today just how similar and how different it is from the kind of retailing we did 10 years ago. Fundamentals still matter, but there is a pretty profound change in how business is getting done and you’ll learn from people actually doing it about steps you can take or things you should avoid. What are you most looking forward to at the SPS Commerce In:fluence event? I’m looking forward to the people talking to the other people there. We’re bringing together people from all across retailing and actually some of the sessions have got people from totally different ends of retailing and brands talking together about the same problems they have. So the fun part for me is just seeing hundreds of people meeting other people who are not from their industry and discovering that they have a fair amount in common. Obviously, you’re with SPS Commerce and good retail strategy is important to you, but you are also a consumer. What is most important to your shopping experience when you make a purchase online or in the store? Can I trust them? I will definitely not buy things from retailers where I just don’t even really know who they are, so trust is probably the single biggest factor in buying decisions. There’s a bunch of mechanical things like “will it arrive when they said it would?” But I kind of look at that as table stakes. I shop with trust a fair amount. I have a handful of brands and retailers that I buy from online pretty repeatedly and it’s a pretty high bar to get a new one into that mix. Like I have 17 pairs of shoes, all from Colehaan.com. 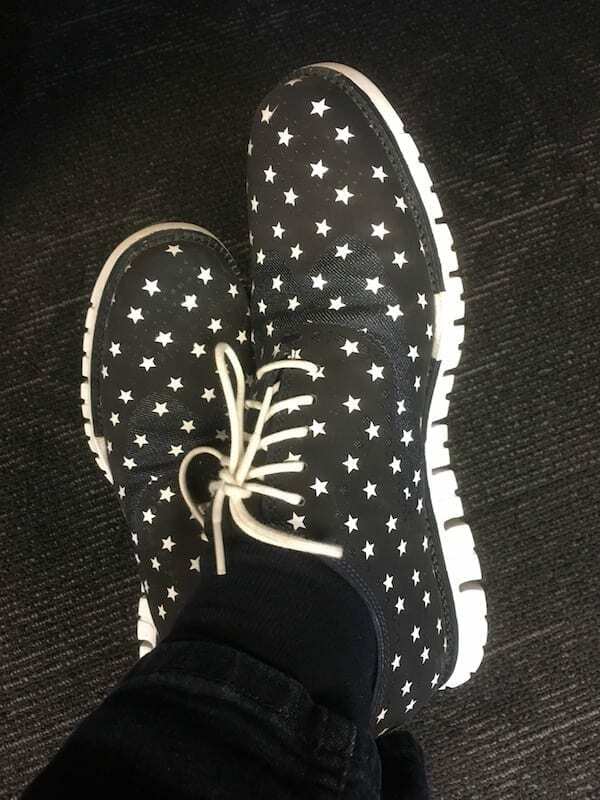 I don’t even buy them anywhere else because I love the experience on Colehaan. They’re like the shoe brand that I totally live by. Contrast that with my experience with Mahabis slippers. These slippers are wool with a built in rubber sole, and have an additional outer sole that you clip over them so you can wear them almost like shoes. I bought a pair and I wore them for about a year, until the outer sole eventually cut through the wool. So I took a photo of it and sent a return request. Mahabis’ response was to say the slippers were out of warranty, but they sent the photo to product development department and offered me a 25 pound gift card. They wanted me to spend more on a product that I already know will prematurely wear out. If I return something to Patagonia, they just fix. They want you to keep wearing their stuff. And then if it doesn’t wear for very long, they want to know that because they want you to keep wearing their stuff, and they want to design their stuff to last a long time. And I tweeted that. Eventually Mahabis came around and gave me a new pair of slippers. But they burned up so much goodwill in their initial response because it makes me think they actually have a problem with their design, their production or their quality. So there’s my social media story of bad customer service, like I mentioned earlier! But yeah, as I think trust is my main selling point. I probably only consistently shop from a half a dozen different places, for reasons like the ones I just mentioned above. Every once in a while, though, I’m willing to take a risk if I want something enough. 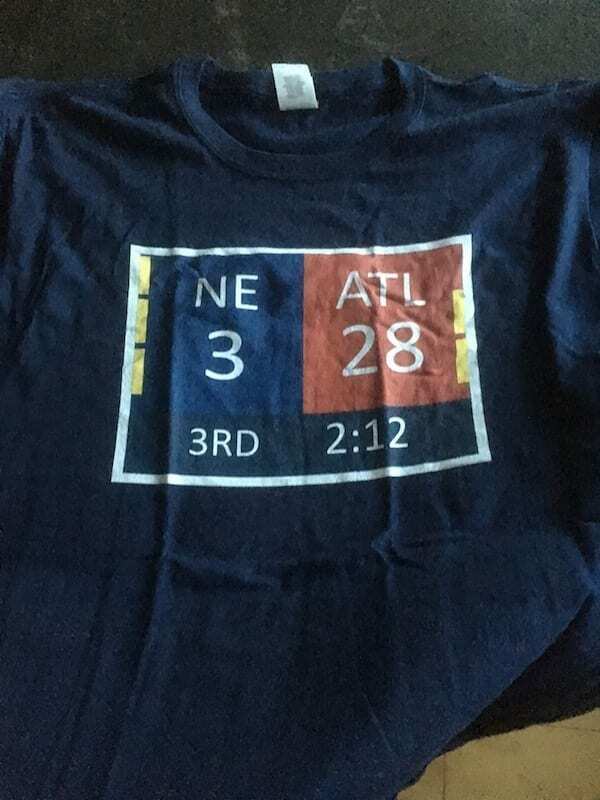 Like, I’m a Patriots fan, and I just bought this shirt that hasn’t arrived yet, and I don’t know when it will show up. It displays the score from the end of the third quarter of this year’s Super Bowl, when the Patriots were down 28 to 3 – just before they scored 31 more points against Atlanta to win the game. That shirt made it over my trust jump only because I found it through a Patriots forum – again with that online, social discovery aspect. Well, I also made the purchase because I wanted it so badly.